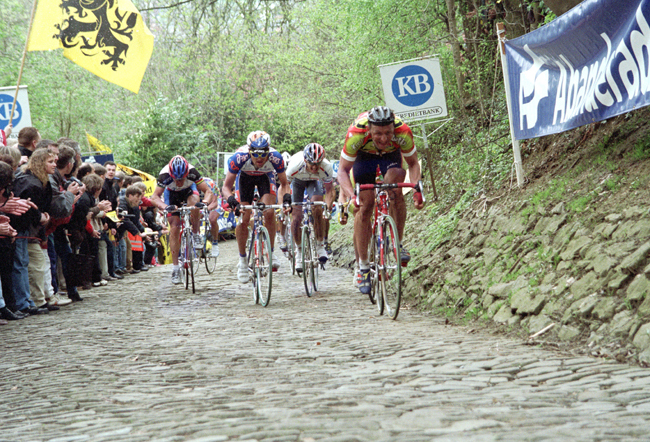 The race: Johan Museeuw attacked with about 20 km to go and quickly had a nearly 1 minute lead. 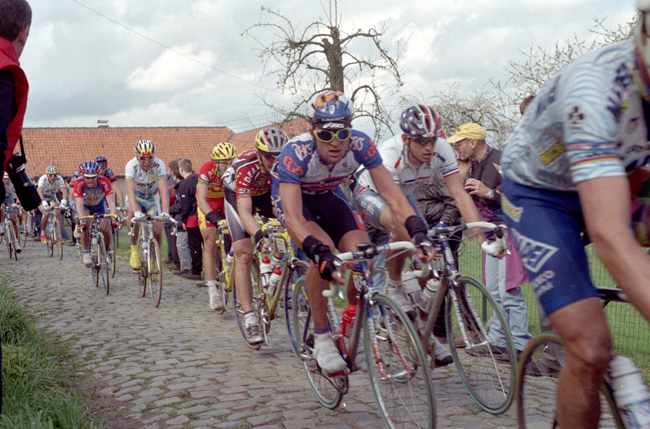 He rode his 53 x 11 gear to the 59th Belgian victory in "De Ronde". Teammate Stefano Zanini was able to sit in on the chase group, saving energy and allowing him to win the field sprint. 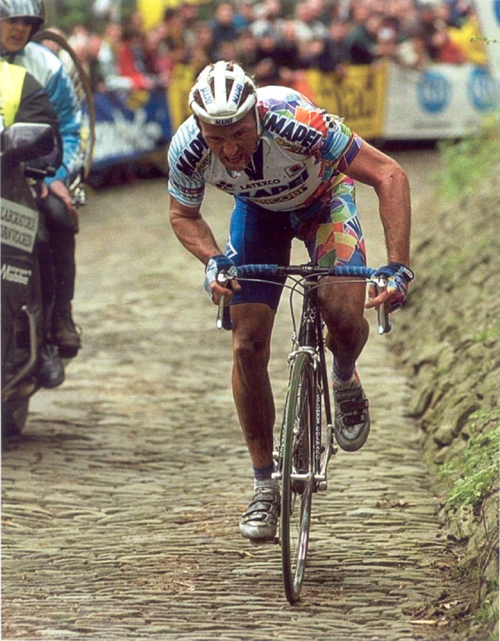 Peter Van Petegem (TVM) s.t. Fabio Baldato (Riso Scotti) s.t. Germano Pierdomenico (Cantina Tollo) s.t. Arvis Piziks (Jack & Jones) s.t. Hendrick Van Dyck (TVM) s.t. Jesper Skibby (Jack & Jones) s.t. Hans De Clercq (Palmans-Ideal) s.t. Martin Hvastija (Cantina Tollo) s.t. 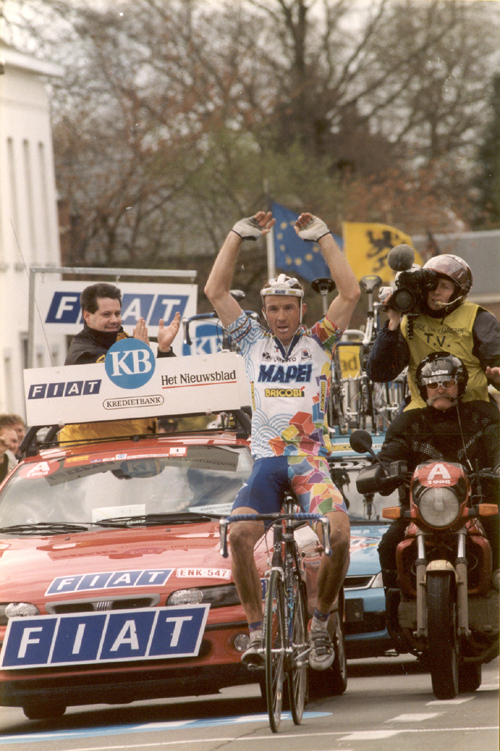 Max Van Heeswijk (Rabobank) s.t. Steven De Jongh (TVM) s.t. Brian Holm (Jack & Jones) s.t. Andrea Brognara (Riso Scotti) s.t.